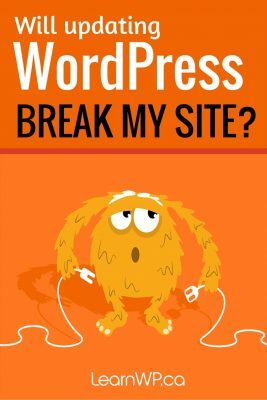 Will updating WordPress break my site? 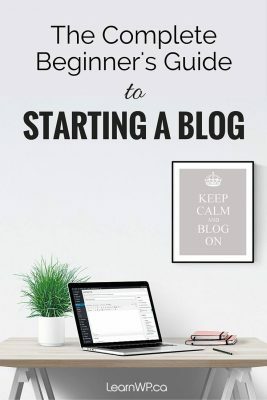 You are here: Home / Blog / WordPress Beginners Guide to Starting a Blog / Will updating WordPress break my site? Modified: July 20, 2017 First Published: Posted on September 28, 2015 Author Ruth Maude 3 Comments on Will updating WordPress break my site? We understand your hesitation to update your WordPress website. Breaking your website and not knowing how to fix it is a legitimate fear. But not updating really isn’t a good thing. Instead of ignoring updates, you should educate yourself about what can go wrong when you update WordPress and how to fix it. In this post, we answer your questions and provide you with solutions. How do I know when WordPress needs updating? The main reason to keep WordPress updated is for security. 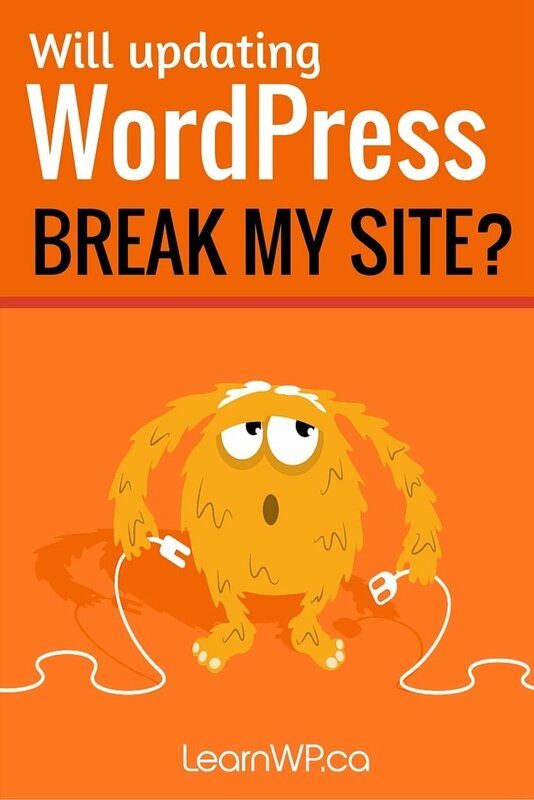 Sometimes security vulnerabilities are corrected with new WordPress releases. Updating to the newest version of WordPress will ensure that you have the latest security fix. Not updating your version of WordPress may leave your site open to hackers. Did you get that? I’ll say it again…. Not updating your version of WordPress may leave your site open to hackers. Another reason to update WordPress is to benefit from new features and improvements that may come with a new version of WordPress. WordPress has a built-in alert system that lets users know when their installations are out of date. It’s important to pay attention to these alerts. But if you rarely login to your site, you won’t see these alerts. We recommend that you login to your site at least once a month to take care of updates and to check that everything is in working order. Whenever a new version of WP is released or a plugin or theme is updated you will see a message at the top of your wp-admin dashboard and in your sidebar indicating that you need to update your installation. Usually, WordPress updates without any problems but sometimes things do go wrong. Don’t panic. Here are some common WordPress issues and how you can fix them. 1. I updated WordPress and my site has been replaced by a message about scheduled maintenance! A common issue is that the maintenance file that displays “Briefly unavailable for scheduled maintenance. Check back in a minute.” doesn’t delete after the update. Your website is stuck in maintenance. The solution is to access your site by FTP or in your host’s file manager locate the .maintenance file and delete it. Here’s how you can get your WordPress site out of maintenance. 2. I did WordPress updates and all I get is a white screen! The solution may be to deactivate a plugin that isn’t compatible with the latest version of WordPress. If you can access the wp-admin dashboard, deactivate all of your Plugins and then reactivate them one by one. 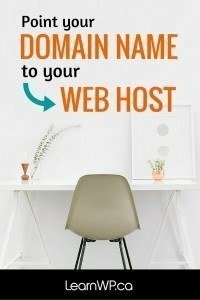 log in to your website via FTP. Locate the folder wp-content/plugins and rename the Plugin folder plugins_old. 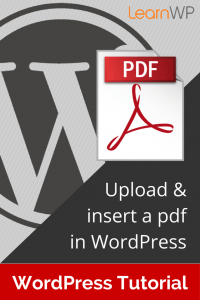 Now go to your plugins page in the wp-admin. This will deactivate all of your Plugins. Return to the plugins page in the wp-admin and reactivate your plugins one at a time until you find the culprit. Before updating WordPress make sure you have login information for your host – you may also need a security question answer or call-in pin number to prove who you are. If something goes wrong you can jump on chat with your hosting support. If you are using inexpensive hosting you may encounter a white screen or a 500 Internal Server Error when you update WordPress. Don’t worry this likely means that the host needs to allocate more memory for your site. They should be able to resolve this for you through a support chat. This is especially likely if you are experiencing the white screen of death after you have just activated a new Theme. Log in to the WordPress admin theme screen and activate the default WordPress Theme. If you can’t access your wp-admin administration screens, access your website via FTP and navigate to the /wp-content/themes/ folder. Rename the folder for the active Theme. This will deactivate the theme. Occasionally I have had to manually update the WordPress core files. Follow the instructions on WordPress.org for a manual update. If you (or your web designer) made any modifications to a WordPress theme directly, updating the theme will overwrite your customizations. It is best to create a child theme to protect modifications so that themes can safely be updated. So before updating your theme check that it is a child theme. You can read in more detail about how to safely update your WordPress theme. Don’t ignore WordPress updates. With regular maintenance, you can keep your site current and safe from security threats.